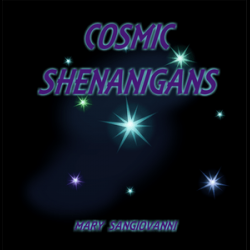 Cosmic Shenanigans is a podcast focusing on cosmic horror in films, television, art, games, music, fashion, pop culture, and just about anywhere else our little tentacles can reach. Host Mary SanGiovanni delves into what makes it timelessly relevant and enjoyable, and examines how it permeates so much of modern culture. Further, as a writer of cosmic horror herself, Mary looks at her and others’ roles in the subgenre and in publishing at large, and explores the female perspective toward and within works of cosmic horror.